Ventura County Green Business (VCGB) works with small-to-medium sized businesses who chose to implement green initiatives and benefit their business. Green your business to save money, improve employee wellness and productivity, stand out from your competitors, and be recognized as an environmental leader by conserving resources and protecting the environment. 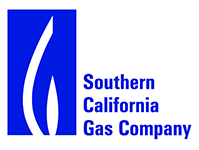 Southern California Edison (SCE) and Southern California Gas (SCG) offer free help for small business by identifying ways to save electricity and gas. Trained energy efficiency contractors will look at lighting, signage, refrigeration and more and determine opportunities for savings. The contractor will recommend improvements that can help your business use less energy. If you wish to implement these improvements- at no cost to you- the expert can help you complete the authorization and schedule an installation appointment. CaliforniaFirst Property Assessed Clean Energy (PACE) program offers attractive long-term commercial financing for energy efficiency, renewable energy, cogeneration and water efficiency projects. PACE loans do not require a down-payment or an upfront capital improvement investment but instead the loan is repaid through an assessment placed on the property tax bill. Visit the Southern California Edison and Southern California Gas Company websites to find out more about rebates and incentives, energy saving programs, energy assessments, energy tips and tools, and custom energy efficiency upgrades for your business type.